» Buying a Clothes Steamer in India: What Are the 3 Main Points to Consider? Ironing the clothes is a very hectic task. We all avoid this job in our daily life. A Garment steamer can be the best alternative for those people who detest ironing. Ironing of clothes can sometimes be a challenge if you have a very tight schedule. But garment steamers have changed the scene. Garment steamers are electronic machines which are used to remove wrinkle from clothes. With this equipment, wearing wrinkled clothes is no longer an excuse for working with it can solve any mistake within few minutes. Now, these machines are getting more popular among people. It works on a very simple process. Water in a garment steamer is heated, and then the water turned into steam. The steam is then passed through a nozzle which can apply to clothes to make them wrinkle-free. The steam relaxes the compound present in the fabric, and that eliminates wrinkles. The garment steamers are very handy tools. · First, check and confirm that all its parts are connected properly. · Make sure that the water container has required water level. Then turn on the device to let the water heat up. · Clothes should be hanged on a hanger. · Now, hold the nozzle head in such a direction so that the steam jet will face outward. · Always start steaming the clothes from bottom to up. · Don’t let the nozzle head to touch the fabrics. · If you are steaming printed clothes, apply steam on the underside. · For heavy fabric, you can prefer repeated steaming. For how much time you will use the machine? 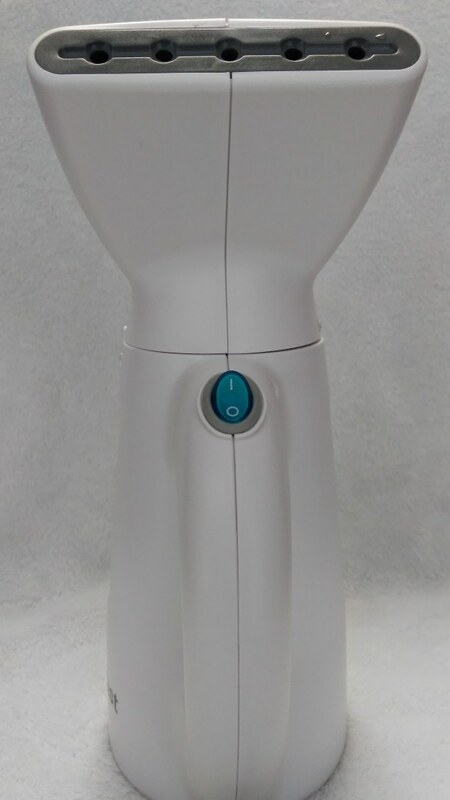 If you are planning to buy a steamer for occasional use or less amount of clothes, then a smaller or a portable clothes steamer will be perfect or you. You can even choose a steamer which can produce steam for 15 minutes. This will be sufficient for you. However, if you need a steamer for heavy fabric steam, then you should choose a large clothes steamer. What types of fabric you have? If you have light and delicate fabrics like silk, prefer to buy a steamer which produces lower steam output. Here you don’t need a full-sized steamer. It will cost you more. Full-sized steamers are good for steaming heavy fabrics. Within a couple of seconds, it can remove the hard wrinkles. If you are a traveller and travels frequently then you can choose a portable clothes steamer or travel steamer. It comes with compact size, and you can take it inside your suitcase. But, if you need it for home uses, then go for professional garment steamers. Is it comfortable or not? The garment steamer should be comfortable to use. Just hole the steamer and see how it feels. While buying a handled clothes steamer, make sure that the machine is not heavy and you can operate it easily. If not feeling comfortable, buy a lightweight steamer. Iron and steamer are two different things. Steamers help in smoothing the wrinkles from clothes. A steamer will not offer the pressed look on the clothes which only can iron offer. Need sharp creases and pleats crisp, then go for iron. Remember that, garment steamer cannot remove stains or odors. To remove stains, you will need a steam cleaner. However, there are some best cloth steamers which carry both these features. The first kind of clothes steamer is a floor model steamer. Garment shops and houses generally use this kind of steamer. The second kind is a portable handled steamer. Useful for the traveler as it is lightweight and can take everywhere. If you are travelling somewhere, then take this with to remove wrinkles from the clothes. The third kind is the clothes steamer tools like a steam cleaner. · No need to use the ironing board. · These are lighter than regular irons and suitable for traveler. · Steam is better than ironing. · Steam can remove creases, odours and sanitises clothes. · Not much power and also not cheaper. · Sometimes it develops damp. · Hard to steaming the edges of the clothes. · Some steamers come with small water tank and will run out of tea within few minutes. · All the garment steamers are not lightweight. You may feel uncomfortable to hold them. · There are chances of water leakage. However, the best cloth steamers are developed with advanced technology, and you will not find more cos in those steamers. Make sure that you are choosing the perfect clothes steamer for you. There are some machines which can produce powerful steam for a longer period. It will save you time. Sometimes, powerful steams can damage other types of material for example silk. Chose the steamer which comes with a steam controller so that you can control the steam output capacity. Check the steamer’s water tank capacity. The size of the water tank can influence its steady operation. Some of the smaller water tanks can hold up to .35 gallons. You will normally find this in the portable clothes steamer. The professional garment steamers can hold up to one gallon and more. Larger the water tank capacity, the more steam the steamer will produce. Look, if the steamer has a telescopic bar or not. If the telescopic bar is long, then you can use that for hanging clothes during steaming. One of the most important features is auto on and off. So, if any issues occur then the feature will turn the machine off to prevent damages. If the steamer has a roll coaster feature then, you will feel comfortable for moving the steamer over your clothes. Apart from these factors, you need to keep in mind about its wattage, operating voltage, and material. A clothes steamer is one of the most economical and wise investments that you can make. It is safer and convenient than an iron. All these factors mentioned above will help you in buying the best clothe steamers.